Working in the field of dentistry can be challenging. This is largely because coming to the dentist is not always high on people’s list of favorite things to do. And this is completely understandable. Having a gloved, masked, person 15 inches from your body and working in your mouth is intimidating to say the least. Also, if you have had a previous negative experience, it adds to the anxiety of going to the dentist. We often hear comments like “No offense, but I don’t like the dentist” or “I hate coming here.” While we do understand, and try not to take it personally, there are times when it can be very deflating for us to hear. I recently had a patient who came in after not having work done for a very long time. After a few sessions, the visible tartar had been removed and the patient’s mouth was looking -and feeling – a lot better. More importantly, his mouth was was healthier. 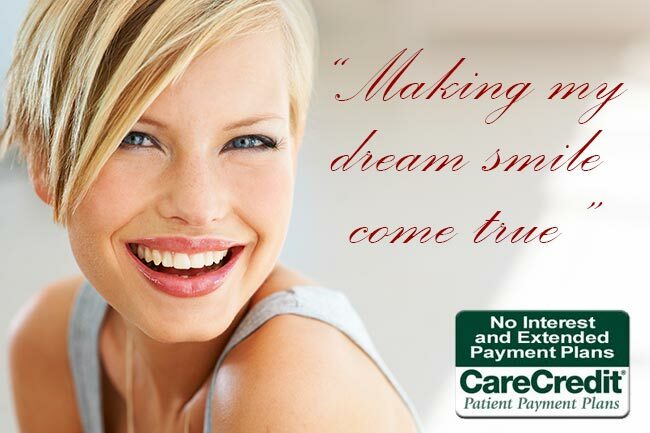 The patient was astonished to see the before and after pictures we had taken and was appreciative to say the least. The patient thanked me and then gave me the nicest hug. A small gesture at our office that was greatly appreciated. That one positive comment and show of appreciation made my day, my week and possibly even my month. This is why we do what we do. A small gesture was SO huge for me that day. 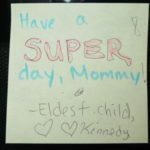 My daughter, Kennedy, is very good at showing small gestures of kindness. 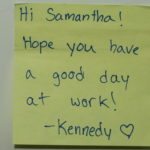 Like Hansel and Gretel dropping a trail of candy, Kennedy leaves a trail of happy notes here at the office whenever she stops by. Not only for me, but for other staff, simply wishing them a good day. 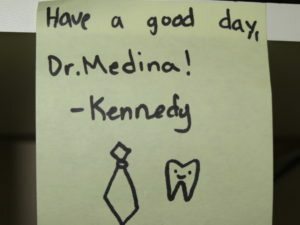 This always brings a smile to our faces, making us strive a little harder to give our patients a good day as well. Small gestures seem to have a domino effect, where the recipient of a small act of kindness soon becomes the giver! We are quick to find fault and point a finger when we see something that we don’t like. Unfortunately, much of this breeds upon itself. I think it’s important to recognize people when they are doing something well or working hard. It’s a work in progress for me. Changing my mindset is very hard to do! Imagine changing one person’s day by a small gesture. Say thank you to those people you don’t normally thank. Give a pat on the back – or maybe even a hug! Compliment someone when you see them trying hard or doing something well. Write a quick note to simply wish someone a good day! This is the best, Kim! It made my day. So True! 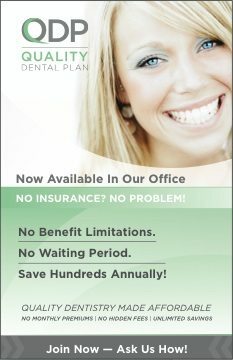 This is such a great dental experience to go to an office with such a wonderful friendly staff!! Great piece nicely written. Thank you for sharing the kindness.